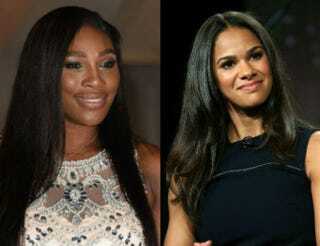 Williams is the face of American tennis (men’s and women’s), while Copeland is the face of American ballet. Both came from humble beginnings in California. Both took unique paths into their professions. Both faced historical, racial and occupational obstacles. Both have dealt with negative commentary about their anatomies. And both have overcome every challenge along the way to reach the pinnacle of their vocations. In traditionally white professions. Serena Williams is the No. 1 women’s tennis player in the world. With her victory Saturday at Wimbledon, she now has 21 major titles to her name and is only one win away from tying Steffi Graf’s 22 grand-slam singles titles in the Open Era (and four wins away from breaking Margaret Court’s all-time record of 24), putting her in the discussion of GOAT status. Mention American tennis and most people automatically think of Williams. Powerful, mentally tough and sometimes controversial, both on and off the court, Williams has long had her detractors. Her father, Richard, groomed Serena and her older sister Venus for tennis stardom. But they didn’t get their start in the academies of Florida. No, he started them on the municipal courts in Compton, Calif.
Serena didn’t look like anyone else on the tour, save for her sister Venus. Even then, however, Serena’s build was vastly different from Venus’. She was muscular, whereas Venus was svelte, like many other tennis players. Serena didn’t fit the mold of what a top tennis player looked like. She had to watch Venus win a major first. She had to watch Venus rise to No. 1 first. Yet Serena still believed in herself. Misty Copeland, meanwhile, was just named a principal dancer at the renowned American Ballet Theatre. She is the first African-American female dancer in ABT’s 75-year history to achieve that status. Copeland is a rising star in American culture. “I Will What I Want,” the 2014 video ad from Under Armour, made her a household name outside ballet circles. In the ad, a voice speaks about rejection as Copeland slowly rises to pointe. Wrong body features, wrong age, the voice says—all of which echoes her reception when she started in the world of ballet. Copeland didn’t look like any other ballerina when she began her rise. And most young girls start studying ballet in the single-digit age range. Not Copeland. The ripe, old age of 13 is when her adventure began—an adventure that included calling a motel room home and a custody (emancipation) battle involving her mother and her first ballet instructors. Yet Misty still believed in herself.